Current Kindergarten parents can volunteer for next year's Kindergarten Welcome Committee. If you are interested in helping with these simple events and working with some friends from your child's grade please email Judean at bakerpto@gmaill.com. 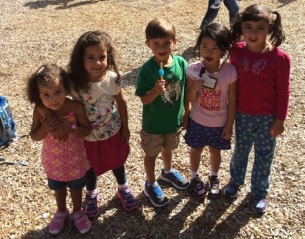 This fun afternoon 'meet and greet' takes place after school on the Kindergarten playground. All Kindergarten families are welcome. If you are a veteran parent and would like to help with this please contact Judean at bakerpto@gmail.com. Having a hard time sending your little one off to Kindergarten? Excited about the thought of all the friends she/he will make and the lessons to be learned? Come meet our Interim Principals, Ms. Linda Rodriguez and Mr. Joshua Howe, and other kindergarten parents for a brief intro to Baker life! Parents who are new to Baker in other grades may also feel free to attend.